It’s over. All I can say is: I bet the Yankees are truly sick of seeing Randy Johnson come in in relief. That’s two postseasons that have ended for them with the Unit on the mound. I go and post a bunch before I go to a webloggers dinner, then post once in the week following it while they’re driving some traffic. Chalk it up to timing. Those of you who don’t know me may be interested in the face behind the website. 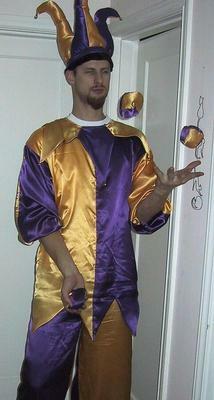 Those of you who do, well maybe you’re interested in my halloween costume.